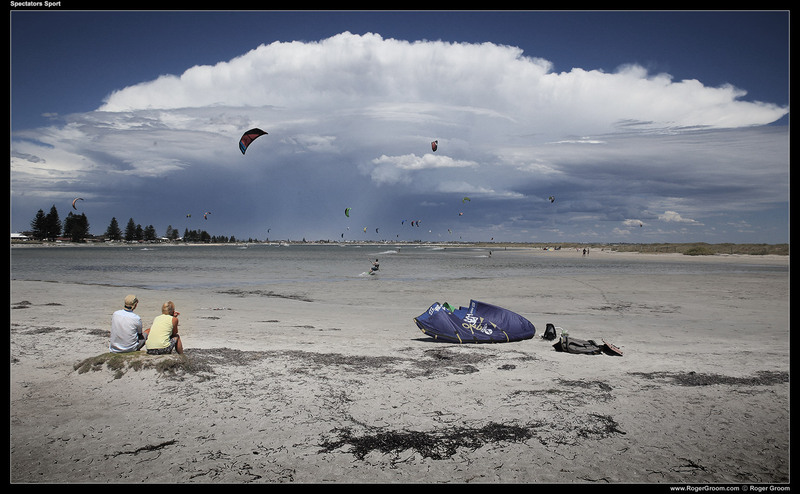 Spectator Sport – The Pond at Safety Bay, with storm clouds in the distance and kite surfers. 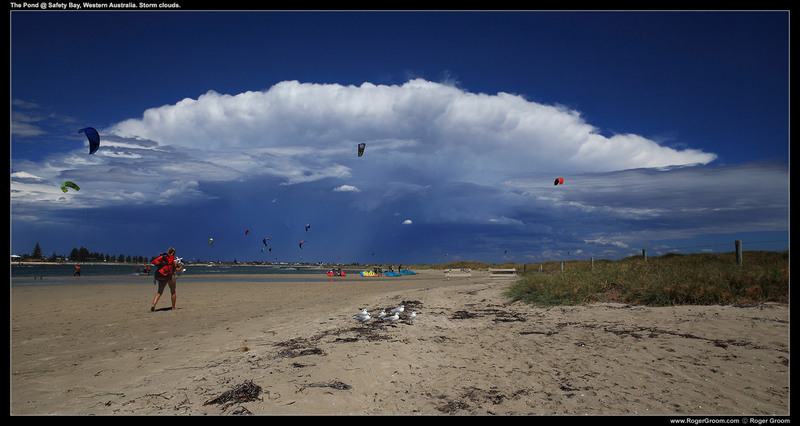 Storm clouds in the distance at The Pond @ Safety Bay, Western Australia. Kite Surfers abound!